Metformin, an anti-diabetic biguanide drug, has recently been introduced in the United States for the treatment of non-insulin dependent diabetes (type II diabetes). In addition to its promise in treating diabetes, metformin may prove to be one of the most promising anti-aging; life extending drugs available! 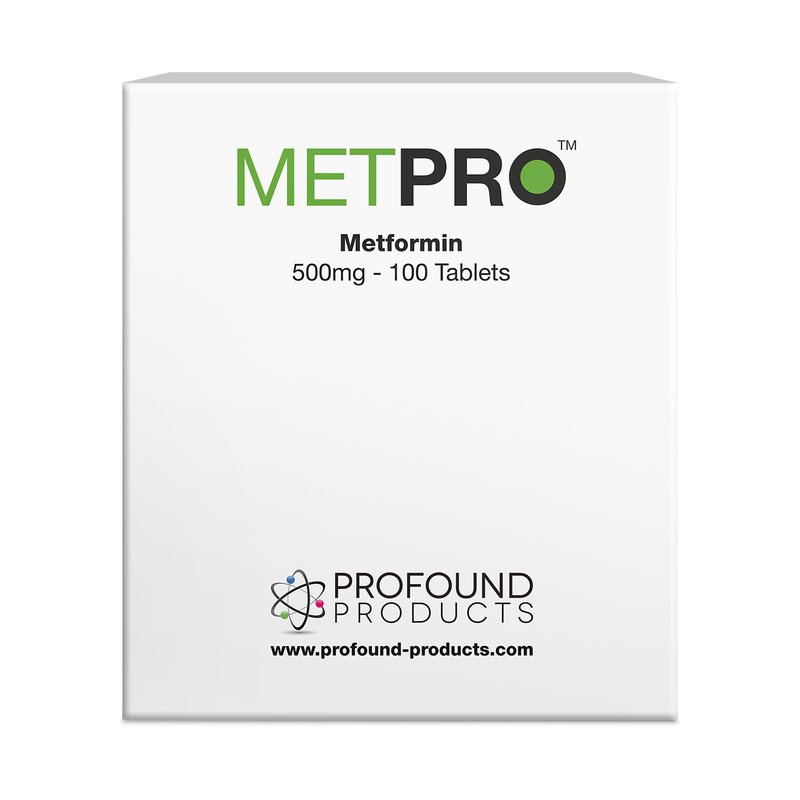 Metformin is chemically very similar to phenformin, an anti-diabetic drug that was discontinued in the United States by the FDA in 1976. The reason for phenformin's removal from the market was because of a number of excess deaths in diabetic patients, caused by lactic acidosis. These deaths were invariably due to its continued use in diabetic patients who had compromised kidney or liver function. No deaths were ever reported in patients who had normal kidney and liver function. Phenformin's removal from the market was greatly lamented by most diabetologists, one of who once told me "phenformin did everything! It lowered insulin, reduced blood cholesterol and triglycerides, stimulated immunity and even resulted in weight loss!" He blamed the excess deaths with phenformin's use on the "stupid docs" who continued to use it in the face of abnormal liver or kidney function. Metformin is similar to phenformin in its beneficial metabolic effects, but it is much safer, in that it has even fewer propensities to cause lactic acidosis than phenformin. One of the most universal changes with age, is a progressive loss of glucose tolerance. When this loss of glucose tolerance becomes pronounced, it is diagnosed as diabetes. Indeed the diagnostic criteria for older people are much less strict than the criteria for younger people; otherwise, nearly every senior citizen would be diagnosed as diabetic. In parallel (or perhaps, the cause) of this loss of glucose tolerance with age, is a progressive loss of insulin sensitivity, i.e. a loss of response to insulin by peripheral tissues. Metformin's mechanism of action is unlike other anti-diabetic drugs, like the sulfonylureas (e.g. Glyburide, Diabinase). The sulfonylueas act by increasing the output of insulin from the pancreas, kind of like putting the pancreas on the dining room table and going over it with a rolling pin, squeezing out whatever insulin remains in the already over worked pancreas. After a period of time, this often results in pancreatic failure, transforming a type II (non-insulin dependant) diabetic into a type 1 (insulin dependant) diabetic. Metformin, to the contrary, acts by increasing the sensitivity of peripheral tissues (like muscles) to the effects of insulin. In effect, it rejuvenates this response, restoring the effects of glucose and insulin too much younger physiological levels. Although metformin is approved only for use in type II (non insulin dependant) diabetics, I use it with a great deal of success on my type 1 (insulin dependant) diabetic patients as well. When used with insulin dependant patients, I find that they are able to dramatically reduce their doses of insulin, and more easily maintain stable levels of blood glucose. Metformin acts in a much more physiologic manner than either the sulfonylureas, or even exogensously administered (i.e. injected) insulin itself. Consequently, if rarely, if ever, causes hypoglycemia, which may often result from the use of insulin or the sulfonylureas. One potential side effect in long term users of metformin, is that it may cause malabsorption of vitamin B12, consequently, I recommend that anyone taking metformin also supplement their diet liberally with vitamin B12. Diabetes is believed by many gerontologists to be an example of accelerated or premature aging. Since nearly everyone suffers from "subclinical" diabetes (i.e. a loss of glucose tolerance with age), I recommend metformin to all my life extension patients who are over 40. Suppresses the growth of some tumors. Finally phenformin (and presumably metformin) increased the maximum life span of experimental animals. Consequently, in view of its record of safety and paucity of side effects, its physiological mode of action, and broad range of beneficial effects, I strongly encourage all of my patients over the age of 40 to take 500mg of metformin twice a day.